Tom left the stage and took up drawing and sculpting as a full-time occupation and has never looked back. 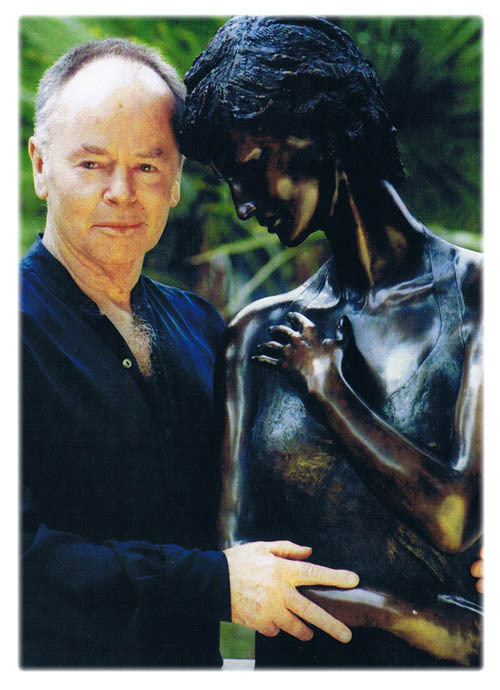 He has sculpted many of the world’s most famous dancers, including Alina Cojocaru, Agnes Oaks, Thomas Edur, Dame Alicia Markova, Dame Beryl Grey, Natalia Makarova, Dame Antoinette Sibley, Marguerite Porter, Eva Evdokimova, Galina Samsova, Marion Tait, Anton Dolin, John Gilpin, Sir Anthony Dowell, Ivan Nagy, Peter Schaufuss, Wayne Sleep, the Olympic Skater John Curry and many more. Tom has gained acclaim throughout the world and has exhibited and sold his work in London, Paris, New York, Edinburgh, Aberdeen, Brussels, and Monte Carlo. His work has also been recognized by the Royal Society of British Sculptors who elected him ARBS for Distinction in the Art of Sculpture. preferring to sketch and model his dancers at his Hampstead Studio. He is a perfectionist and revels in the many avenues down which his multifaceted talent takes him, drawing, painting or sculpture. Tom also feels that one of the most important things in life is to be happy in what he is doing, thus guaranteeing that he never stops changing and evolving both as a man and as an artist. He is internationally celebrated in particular for the power and beauty of his life sized sculptures, many of which grace prominent public places throughout the world. Possibly the most challenging and poignant is the bust of Diana, Princess of Wales, commissioned after her death by the British Red Cross, this exquisite work is displayed at the Red Cross headquarters in London. Such is the universal appeal and beauty of his work. Tom is constantly creating and is never happier than when he is working. 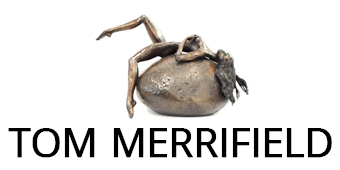 Tom Merrifield is recognized as a major living artist and one of the finest sculptors of his generation. Typical of the many accolades Tom has received from the international dance community is a pointed shoe signed by the dancers of the Bolshoi Ballet, a fitting tribute to his unique talent. He is still fun and ever more wonderfully outrageous, but “boy” what an artist. He is without doubt, one of the world’s finest sculptors and painters. The very best ballet sculptures I have ever seen came from the hands and heart of Tommy Merrifield. we have ever met and worked with. His perfectionism and life energy has been a tremendous inspiration to us. Tom has an amazing sense of line and his creations are always full of movement, feeling and life. the elegant line and movement of a ballet dancer. 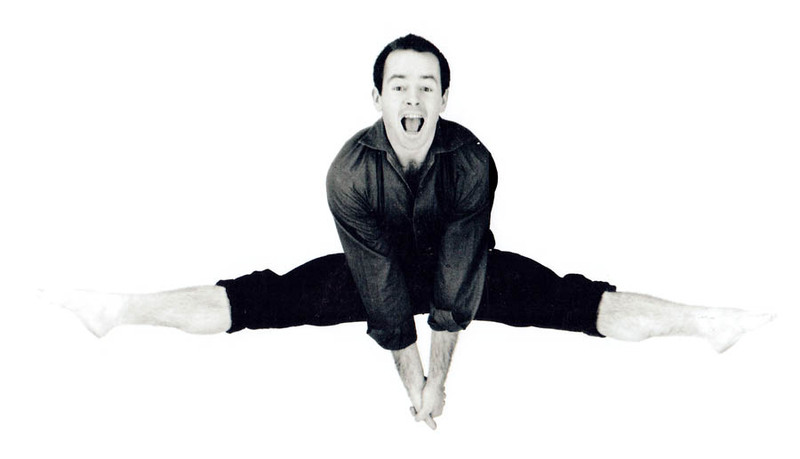 Having been a dancer himself he understands and sees what the human body can achieve and his work is a joy to behold – dance is fortunate to have such an artist in its midst. – his figures, be they animal or human are always invested with a vibrant interest and energy. The original dancer who was electrically and sexually 200% alive, has managed to translate that talent into his second creative outpouring. Some people never achieve an artistic statement in their lives – Tom has managed to push his talent forth in two artistic genres with equal success, a record to be proud of.